(440) 564-2290 | Cleveland's largest selection of indoor and outdoor furniture and fireplaces. 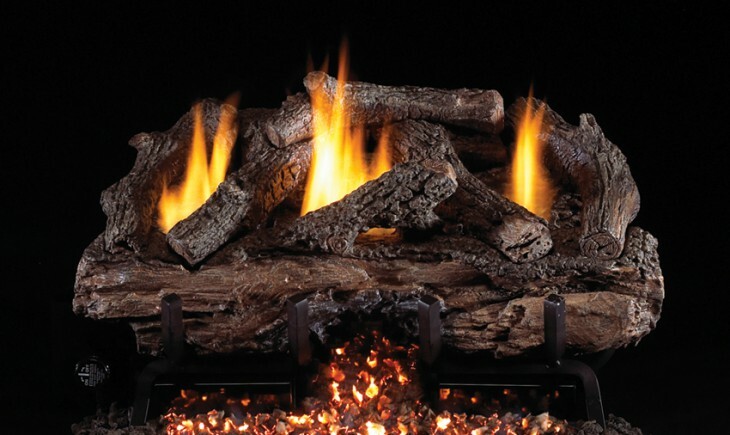 Peterson's G-10 Vent-Free Burner and Logs features the burnt through front log, allowing for a realistic look for your fireplace. Available in 18", 24" and 30" sets. BTU ratings on the G-10 Burner are up to 37,000 BTU's. Fuel sources include natural gas and propane. Available in manual, on/off remote, variable remote and electronic variable remote. Patio, Deck & Hearth Shop is one of the leading outdoor furniture and fireplace stores in Cleveland, Ohio. We take pride in our highly experienced and knowledgeable staff, our unique and extensive selection, and our reputation for standing behind the quality furniture we sell. Delivery and set up available from our staff. Please stop by and see our showroom today.